The Justice Department on Tuesday announced charges against 24 people in a $1.2 billion Medicare scheme that sold unnecessary orthopedic braces to seniors, according to the Associated Press. 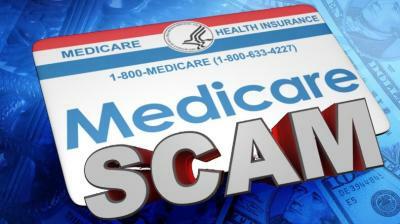 The scheme involved offering Medicare beneficiaries orthotic braces, saying they were free to them and covered by Medicare. Medicare patients who expressed interest were patched through to call centers in the Philippines and Latin America that were in on the scam, which would verify the beneficiaries coverage and transfer them to telemedicine companies. The call centers collected prescriptions and sold them to medical equipment companies, which shipped the braces to beneficiaries and billed Medicare for them. The medical equipment companies received Medicare reimbursement of $500 to $900 per brace, for which they paid kickbacks of nearly $300 per brace, according to the AP.